Included in the Symbaroum Core Rulebook is a simple template for designing suitable challenges for a group of newly created player characters. Here follows a more detailed model on what the GM should keep in mind when designing combat challenges, based on the player characters’ Competence Level and the intended Difficulty of the fight. This document ends with a list of pre-made challenges, built by considering three factors: Competence Level, Difficulty and Setting. 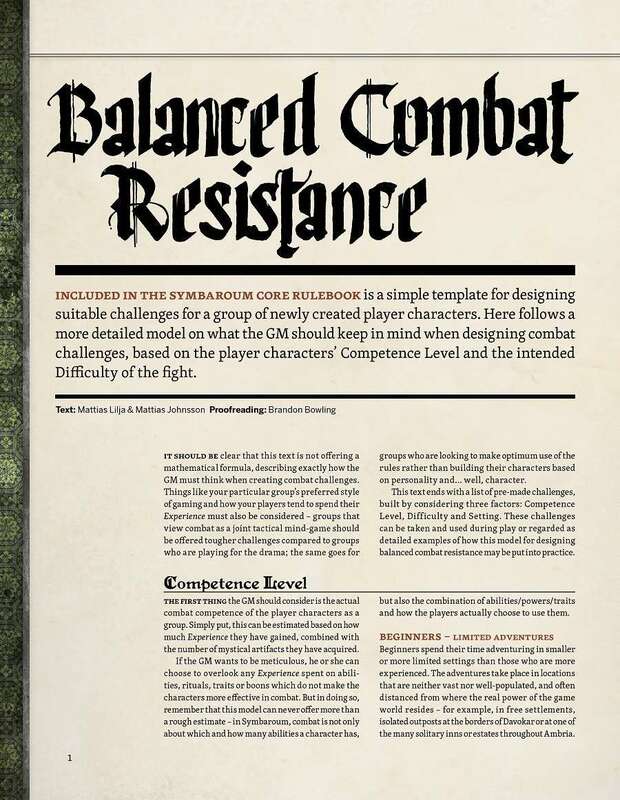 These challenges can be taken and used during play or regarded as detailed examples of how this model for designing balanced combat resistance may be put into practice.